This painting of a wood faerie peacefully praying in the flowers. This unusually tame picture (where's the humor?) might appeal to the LOTR's set (which I guess is me, which maybe that was the joke). 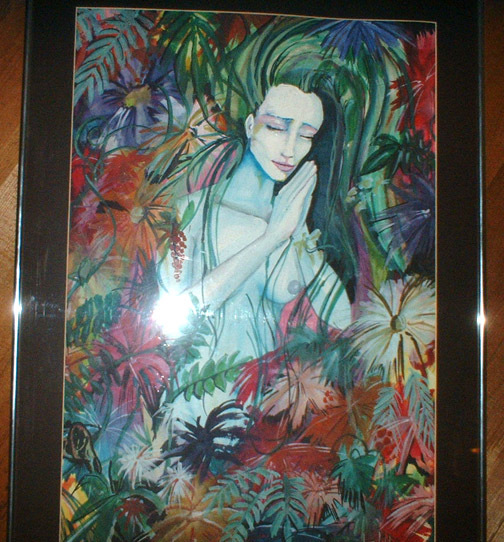 I gifted this painting to Craig Verity probably in 1992 or 1993, who still has it, and in fact, snapped this picture of it hanging in is San Diego Apartment.